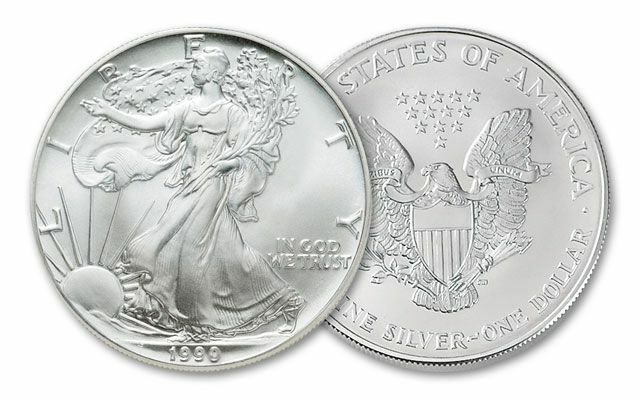 America’s finest silver is displayed in all its glory with the 1990 American Eagle Silver Dollar. Every year savvy buyers stash these away. Each is struck in one ounce of 99.9% fine silver and is in affordable Brilliant Uncirculated (BU) condition. 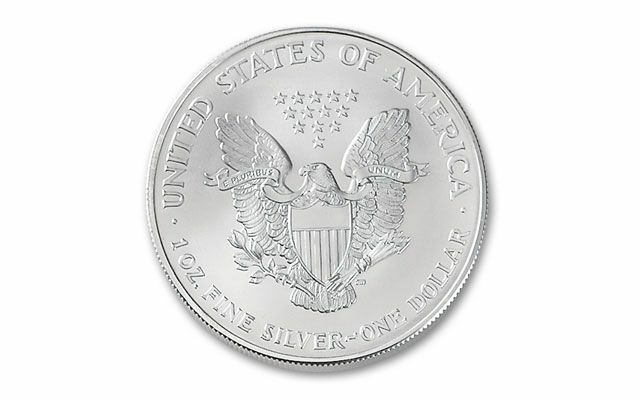 The 1990 Silver Eagle is part of the American Eagle Bullion Program, authorized by Congress as a means for small investors to purchase silver bullion. Like all other mintages of Silver Eagle coins, the 1990 Silver American Eagle contains a minimum of 1 troy ounce of 99.93% pure silver. 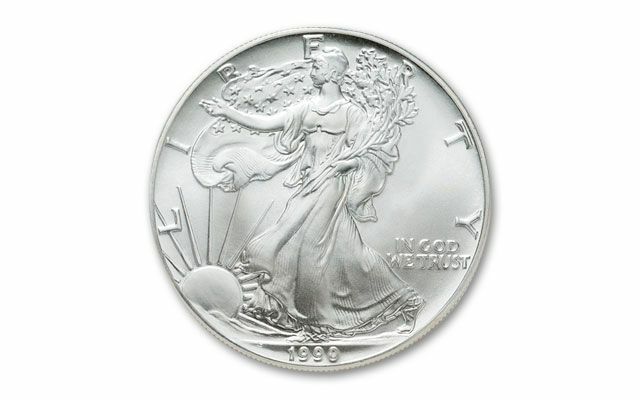 The design on the front face of the 1990 Silver Eagle is the classic "Walking Liberty" image by Adolph Weinman. Liberty is depicted in full, confident stride toward a new dawn, with laurel and oak branches in her left hand. On the reverse is John Mercanti's engraving of an American eagle holding an olive branch and sheaf of arrows in its talons. Above its head are 13 stars representing the 13 original American states. The 1990 Proof Silver Eagle was struck at the San Francisco Mint and thus carries an "S" mint mark. Its cameo finish, achieved by striking a specially burnished blank multiple times, results in a slightly frosted image with clear details that seem to float over a mirror-like polished field. When you collect the 1990 Silver Eagle for its sheer, you'll be proud to have this handsome coin in your possession. The overall average price of silver during 1990 was $4.83 per ounce.